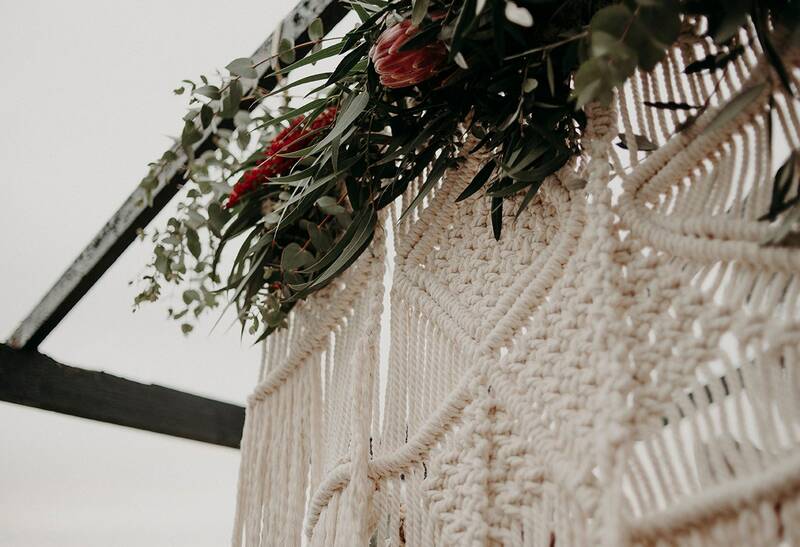 Large bohemian wedding backdrop made of natural cotton rope. 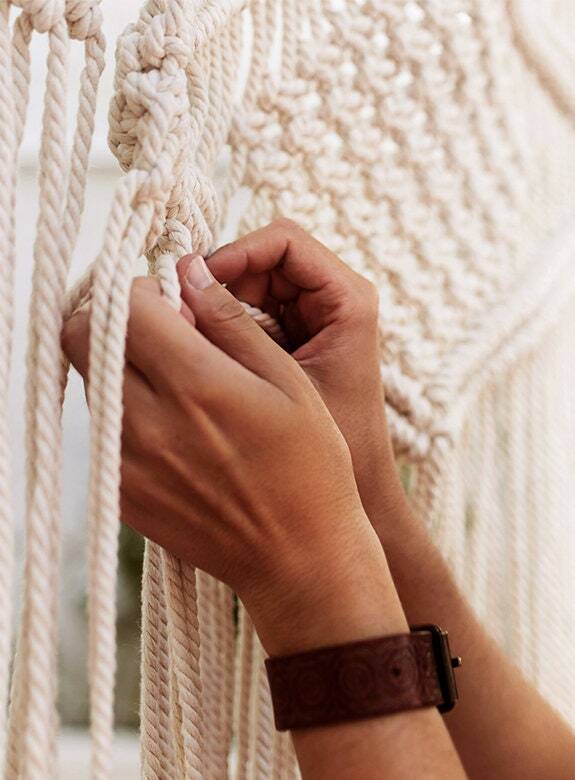 It is been handmade knot by knot with lots of love. 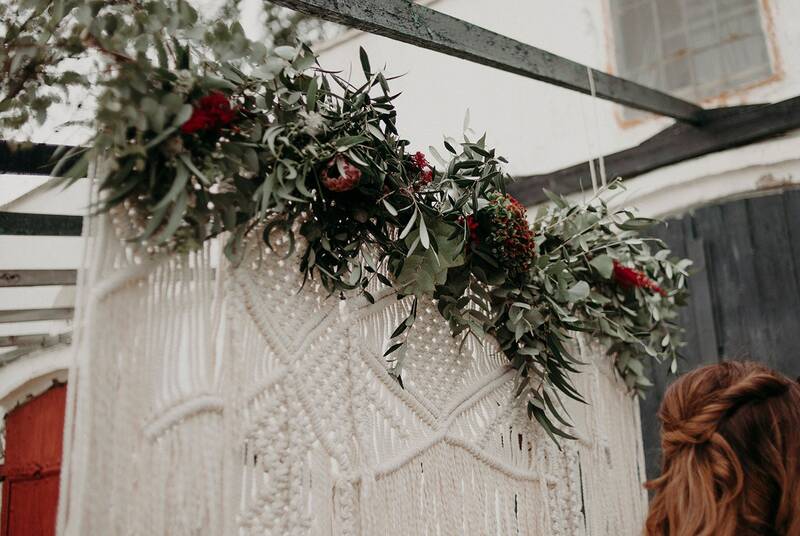 Excellent for outdoor ceremonies between the trees. It also looks amazing in interiors, rustic places, industrial places, etc. It has two holes at the end of the stick to pass a strong rope and fix it to a tree or an structure. 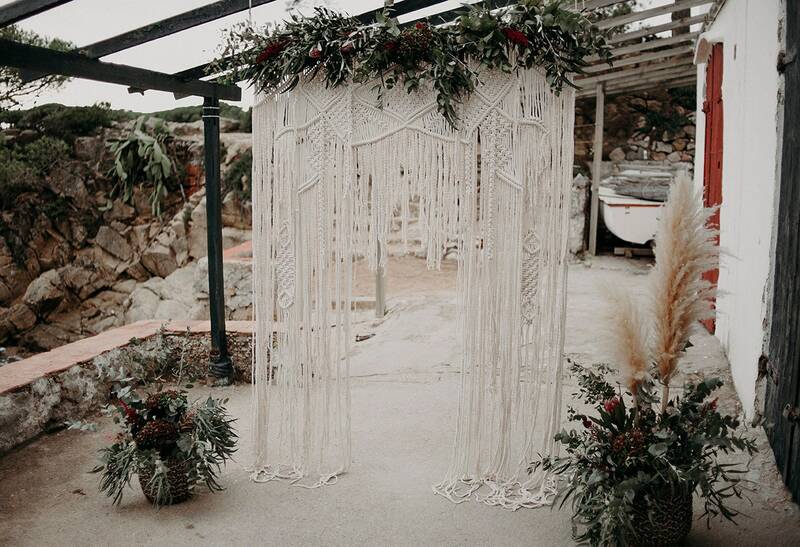 You can use this macrame also as a welcome arch, head table, cake table, photo call backdrop, etc. Goes nicely on its own and also it will look gorgeous combined with branches with green leaves and flowers. 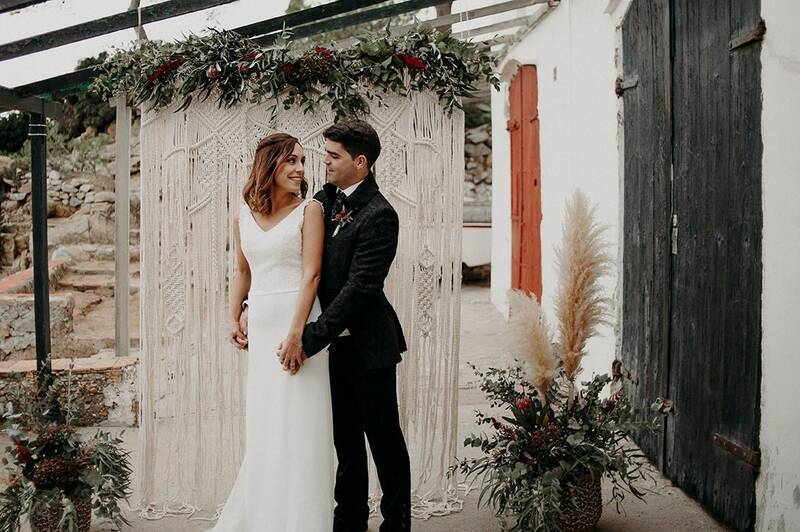 This backdrop is made of natural unbleached cotton rope. 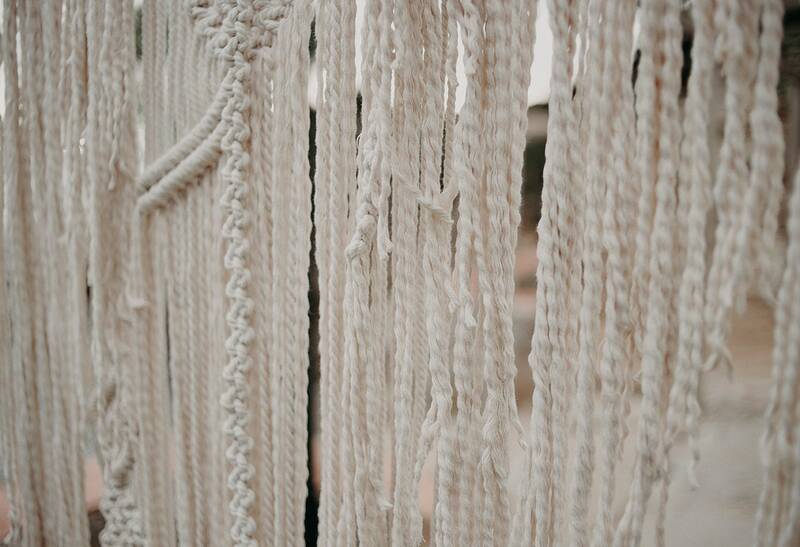 This macrame is ready for shipping. Shipping is done without leaves and flowers decoration.